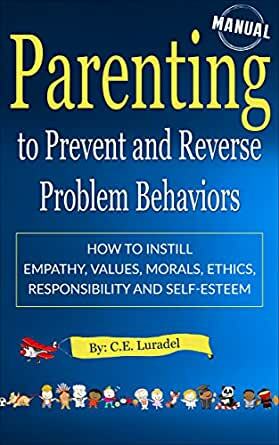 This manual teaches your child how to do life by using a method called Gamification Parenting to teach the 40 behaviors listed in this book. You’ll be giving your child a solid foundation that isn’t taught in schools. These behaviors have been specifically selected and proven to instill Empathy, Values, Morals, Ethics, Responsibility, and a Strong Positive Self-Esteem. Gamification is the future, as it uses game mechanics in a non-game context to acknowledge another for completing tasks. It’s a method of learning that is being implemented at a remarkable rate in schools, homes, and even into all fields of business. The basic idea is simple: turn parenting into a game where children earn rewards for real life achievements, which in turn creates a close connected relationships within your family. Children are highly motivated and enthusiastically run to do all these behaviors. These learners love Gamification because it provides the element of “fun” with serious learning. This is a healthy way of how to do a life that has meaning and is full of purpose. Come join the fun and immerse yourself in having a close bonded family living a positive life. I read this book as a grandmother, and a parent that had already raised 2 boys to adulthood. Having said that, I can already see where what I thought best, was perhaps not instilling behaviors that would benefit the child I was raising into adulthood. What most of us inherently think are some of the best ways to reward a child, can actually develop undesirable habits and behaviors both in childhood, and later in life. This workbook provides simple concepts that will help your child, you, the people your child interact with throughout their lives, and the future adult that can shine and thrive. This book is certainly an easy read and an easy tool to use. It is not so complex that it is overwhelming. Even if you do not use it as a workbook, it is highly recommended that you read it for a better understanding of the messages that we are sending to our children. 5.0 out of 5 starsWonderful guide! An excellent book for parents, grandparents, as well as those in the field of child care. Easy to follow techniques, ideas, and checklists that are great for the whole family. Full of character-building tips! 5.0 out of 5 starsGREAT BOOK THAT EVERYONE SHOULD READ! The absolute best parenting book ever! 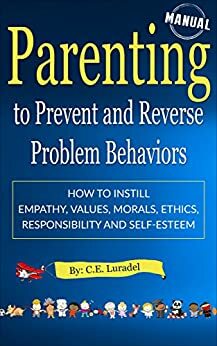 No matter where you're at in raising your children, this book can help you. Very easy to understand & with great examples. Highly recommend it. Even for aunts, uncles, grandparents, etc. I thank this writer to the moon & back.